There are lots of hotels in and around Udon Thani city, with the majority being close to the city centre or lining the ring road. There are still many hotels that do not advertise through online hotel booking websites, and I am still trying to work out why this is, and unless you have local knowledge, you are not likely to find out about many of these establishments. A high number of the hotels in Udon Thani place more of a focus on either Thai customers only, or are 'short time' hotels where you might want to take your bar girl back to for an hour or two. Most hotels in Udon Thani are in the 2 star to 3 star bracket, and are very affordable when compered to the likes of Bangkok. The cheapest rooms are around 350 baht per night, and offer fairly basic accommodation, although normally comfortable enough. There is a small number of 4 star hotels in Udon Thani, and these have proved to be very popular with visitors from Europe and other Asian countries (especially the Chinese and Japanese). These hotels typically have an on-site swimming pool, sauna's, spa, restaurants etc, offering a better level of accommodation and service. I would suggest that unless you book a 4 star hotel in Udon Thani, that you set your expectations quite low with regards to the accommodation offered. Many hotels in Udon Thani have been built with Thai guests in mind, and do not offer a great deal, indeed even finding a hotel room that supplies a kettle to make tea and coffee is quite rare. For most hotels, you could easily find fault with one thing or another, if you are that way inclined, but if can overlook such 'inconveniences', your stay should be relaxed and comfortable. The more recent hotels being built in and around Udon Thani are improving in the overall standard, and it is good to see some 4 star hotels making an appearance in the city. This trend is likely to continue as tourism to the city increases, which it inevitably will in time. On each Udon Thani city attraction page, we have provided links to all the nearby hotels, which may make it easier for you to decide where to stay during your visit to the city. Below are the hotels that are close to the main attractions in Udon Thani. 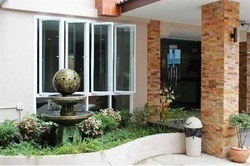 These hotels are also accessible via the individual attraction webpages within this website. ​Adjacent to Nong Prajak Park on the western central side of the city, this is one of the newest hotels in Udon Thani, and in a lovely location. Located no more than a stones throw from the Central Plaza shopping centre, main nightlife and bar girl areas of the city. A 5 minute drive from Udon Thani city centre, the Napalai Hotel features rooms with a private balcony, 2 dining options, free Wi-Fi. This hotel offers air-conditioned rooms with a private balcony, and you can relax by the pool or wind down in a sauna or spa pool. The Pannarai Hotel, is the equal closest hotel to the Day and Night complex, being less than a 30 second walk to its entrance. A 5 minute walk will get you to the Day and Night entertainment complex where many bars and girls are waiting. Directly opposite the hotel are some other bars, with several nearby restaurants. 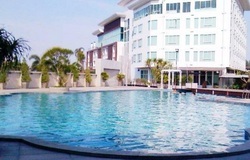 Charoen Hotel offers comfortable rooms with free Wi-Fi, and unusually for a 3-star hotel in Udon Thani, boasts an outdoor pool, along with karaoke facilities and various dining options. 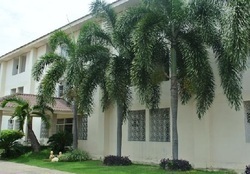 Heritage Hotel is a 50 room hotel, just a 5 minute drive from Udon Thani Airport and Nong Prajak Lake and Park. It offers clean and comfortable rooms with a balcony and free Wi-Fi. 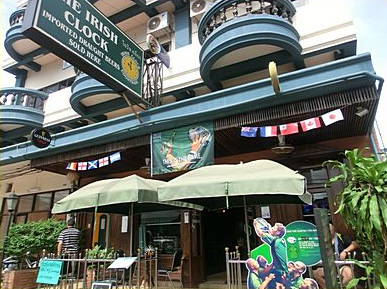 The Irish Clock is very close to the Day and Night complex, right in the centre of the ferang nightlife, and offers multiple facilities including a tour desk, a limited hours room service and a dry cleaning service. 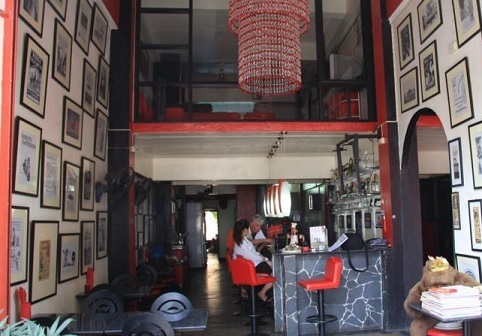 The 'At Home at Udon' hotel is located right in the heart of the main nightlife area, less than 100m from the Day and Night complex, and a 5 minute walk from Nutty Park and Central Plaza. The Top Mansion hotel is one of a small cluster of hotels located right next to the Day and Night entertainment centre in Udon Thani, just a 30 second walk in fact! Just about every hotel in Udon Thani is guest friendly, or girl friendly. That is to say, that the hotels will let you take a bar girl, ladyboy, or any other guest back to your room without charging anything extra. This attitude is very different to that of Bangkok or Pattaya for example, but those locations are very family focused, whereas Udon Thani is still mainly a single mans holiday destination, and the hotels make allowances for this. This stance may change in years to come, as there are plans to try and make Udon Thani a more 'family friendly' tourist destination. There is a long, long way to go before that happens though, so for now the hotels will maintain their current policy in regards to casual guests.